Home / How to set up Google OAuth for G Suite? And how to configure Google OAuth credentials in WSDesk? 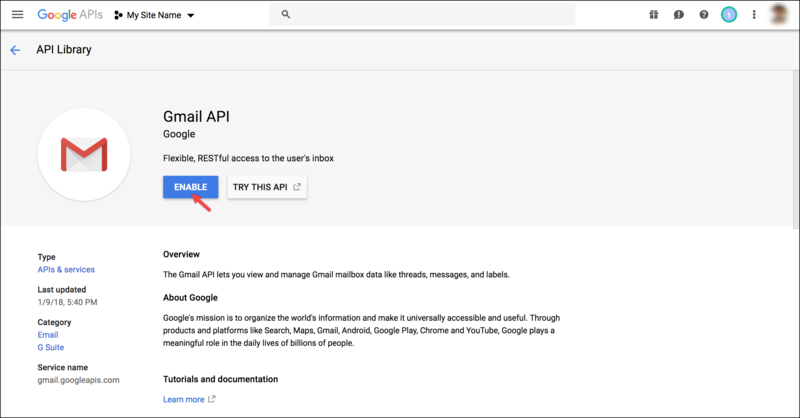 Google APIs use the OAuth protocol for accessing Gmail credentials and data privately. This is generally used for logging in to a third-party service or application using your existing Gmail account. The Google OAuth can be set up for both G Suite as well as your personal Gmail account. If you have a personal Gmail account, you should read setting up Google OAuth for WSDesk article. In this article, I’ll show you how to set up Google OAuth for your G Suite account and how you can set up Google OAuth settings in WSDesk. 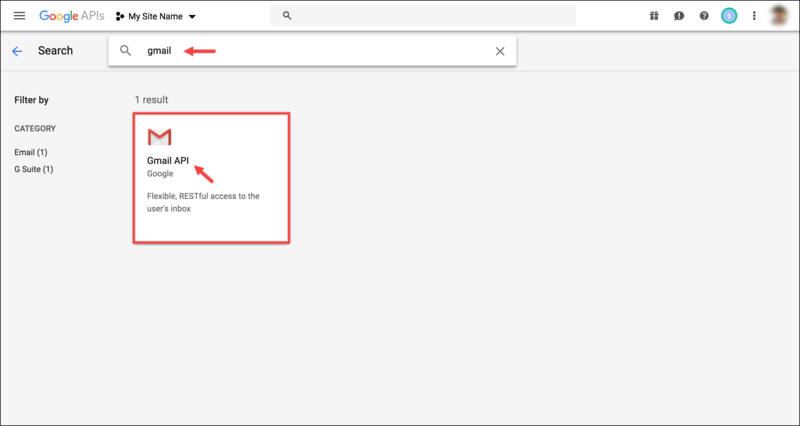 How to set up Google OAuth for G Suite? Follow the below steps for setting up Google OAuth for your G Suite account. Log in to your Google API console account. Make sure you log in with your G Suite administrator account. Once you have logged in to your account, click on Select Project button on the top menu bar. Select your organization and click on the New Project button, as shown in the below screenshot. In the next step, enter the desired project name and choose a location and click Create to proceed further. The project will be created with a project ID as shown in the below screenshot. Next, search for Gmail API in the search console of the dashboard. Make sure you have selected your project from the project drop-down list. Once the Gmail API is found click on the search result to proceed. 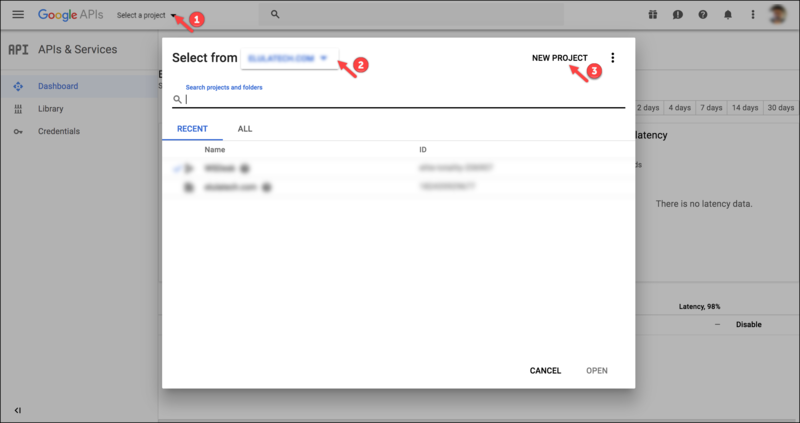 Click on the Enable button to enable the Gmail API for your project. 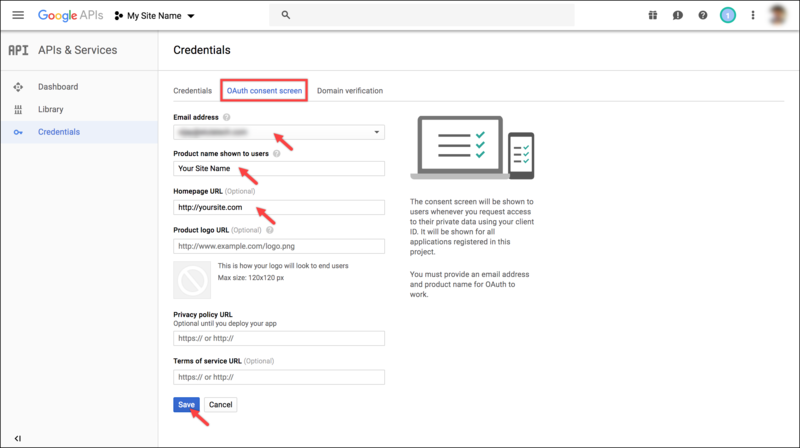 Click on Create credentials button to create Google OAuth credentials for your G Suite account. You are then taken to the Credentials settings where you need to first set up the OAuth consent screen. 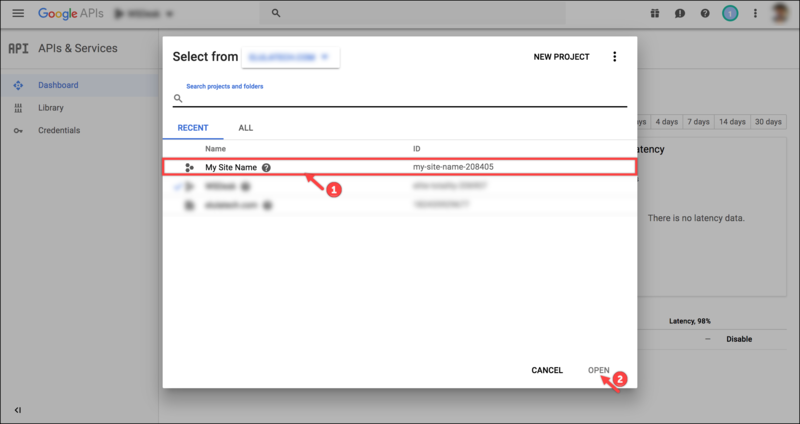 Click on OAuth consent screen tab and configure the credentials like selecting your G Suite administrator email address, entering your project name, homepage URL among other details. Finally, save the details. Next, move to the Credentials tab. Click on Create Credentials drop-down and click on OAuth client ID, as shown in the screenshot below. 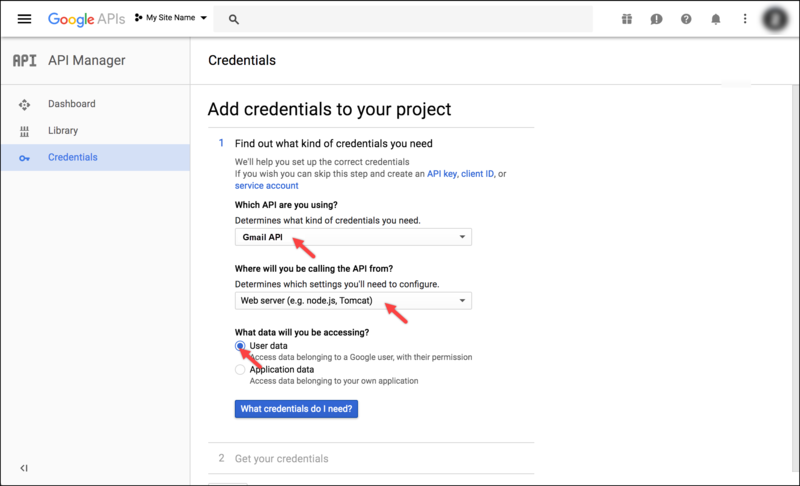 To add credentials to your project, select the API as Gmail API and the Web server as the calling option. Additionally, choose the User Data option to access and proceed further. 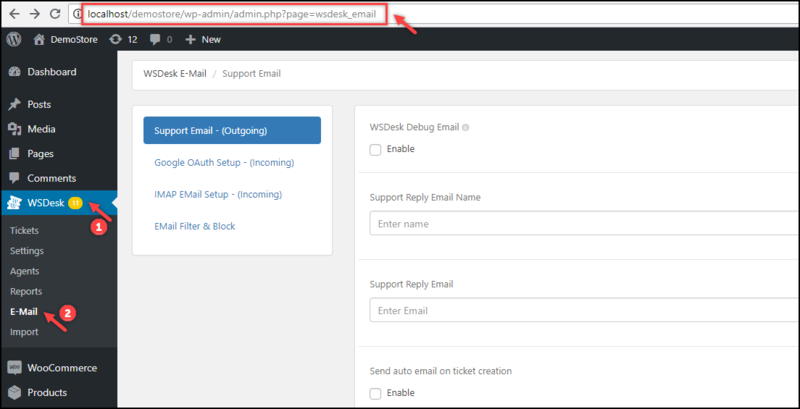 Accessing WSDesk Email setting path: The WSDesk Email settings can be found in WordPress menu > WSDesk > E-Mail. Take a look at the sample screenshot of my demo site for the WSDesk Email settings path. Finally, your OAuth Client credentials are generated. Click on the edit icon to view your OAuth Client ID and Client Secret, as shown in the screenshot below. Now that you have your Google OAuth Client credentials, let us enter this data in WSDesk. 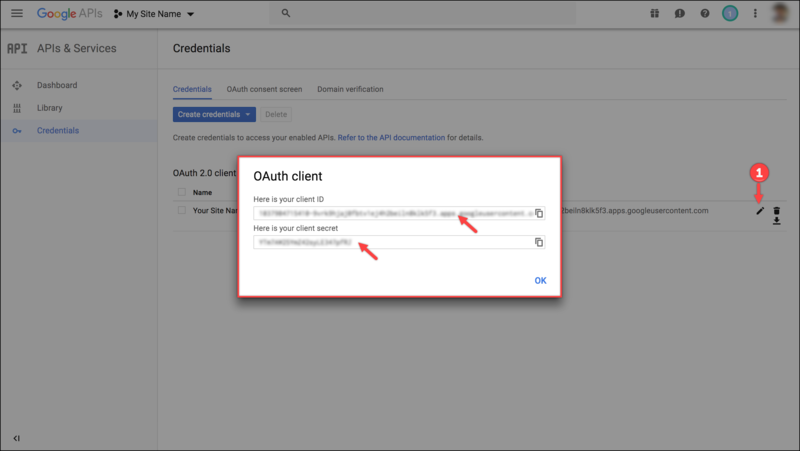 How to configure Google OAuth credentials in WSDesk? Go to WSDesk > E-Mail > Google OAuth Setup (Incoming) settings. Enter your Google API Client ID, Client secret, and click on Activate OAuth button, as shown in the below screenshot. 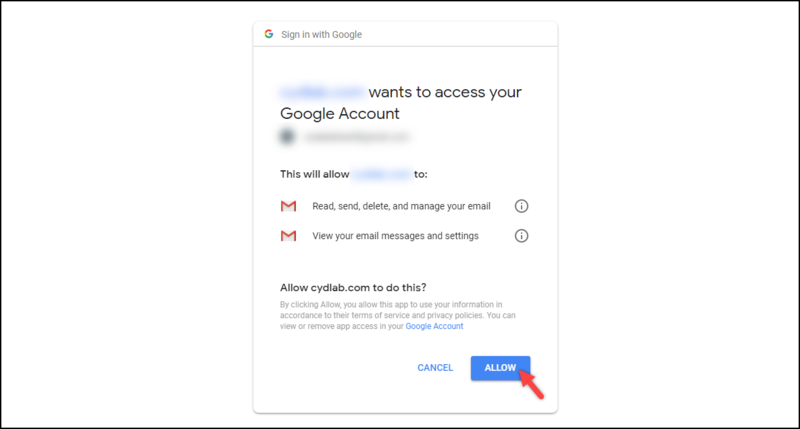 In the next step, you are taken to a Gmail authorization window (shown below) where you need to enter an email address from where the emails are fetched or are redirected to. Remember, you should enter your organization’s support email address (say support@mysitename.com) and not your G Suite administrator email address. 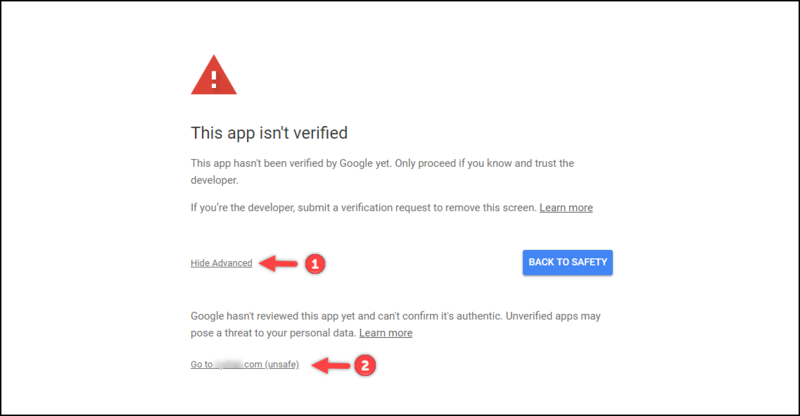 Note: After logging in, for some application, Google does not recognize whether the site is safe or not and throws an error that the application is not verified. Hence in such case, click on the Advanced option and click Go to mysitename.com (unsafe). In the next window, click Allow to allow the app to access your Gmail data. 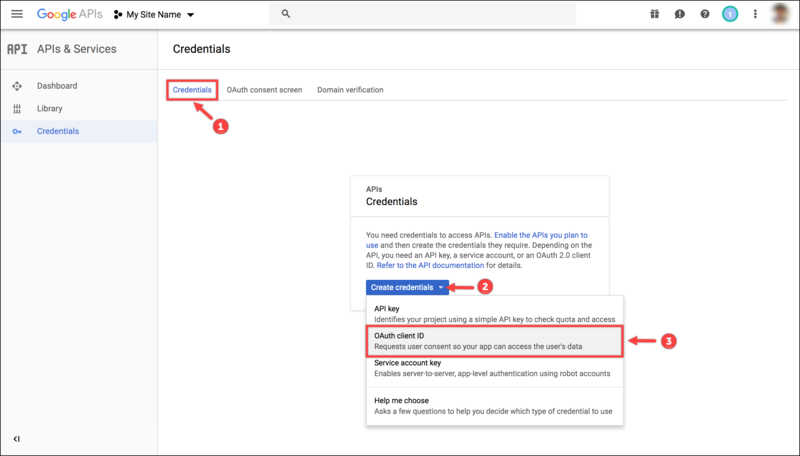 If the above steps are successful, the Google OAuth will be activated and you will see the access tokens appear in the WSDesk setting, as shown in the screenshot below. Hence in this way, you can set up Google OAuth for G Suite and configure the respective OAuth credentials in WSDesk. For personal Gmail account setup of Google OAuth, read Setting up Google OAuth for WSDesk.